A gutter is essentially a depression which joins the side of a curb or pavement and edge of a roadway. Not all roads have gutters, but they are an integral part of urban site design, as they allow for safe direction of storm water, thus preventing flooding, hydroplaning, and other water-related road accidents. 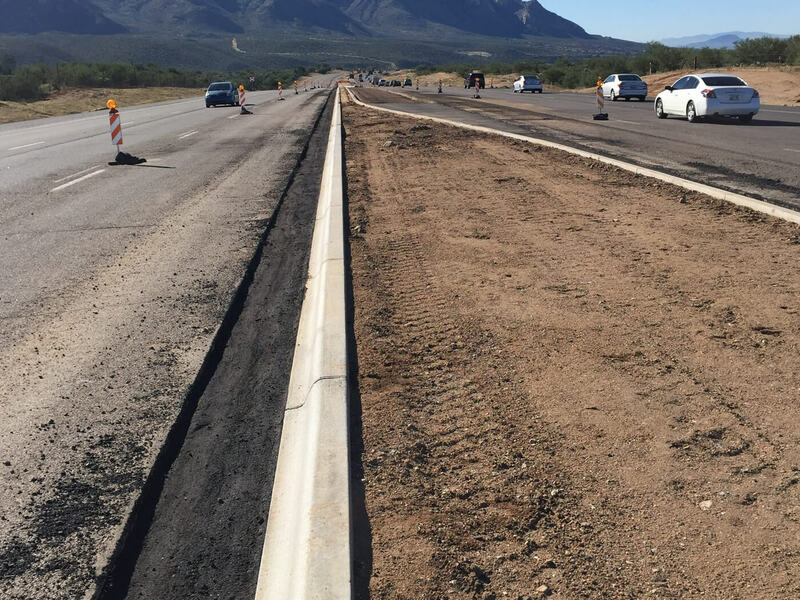 Proper curb and gutter systems also help to support the edges of concrete and asphalt paving, as well as prevent the deterioration of landscaping caused by excessive water pooling. Gutters generally experience large amounts of traffic – especially those on roadways. Impact, weather, and shifting earth are some of the main culprits behind gutter disrepair. Though gutters are made of sturdy concrete, exposure to these elements over long periods of time can cause major damage. Because of gutters’ role in maintaining safety and site integrity, it is necessary to repair or replace them once damage has compromised the gutters’ functionality. Assessment: The area for installation or repair is examined and clearly marked. 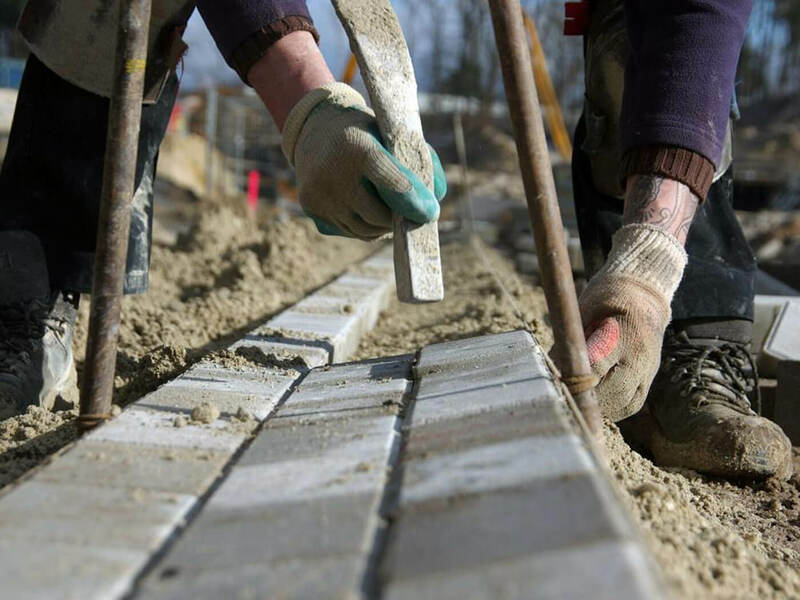 Site Preparation: Damaged gutters are removed in the case of a replacement, and subgrade (the material underneath the gutter site) is examined for compaction and levelness. Subgrade material will be replaced if it is in poor condition to ensure stability of the new gutter. Installation: Forms are prepared, with smaller jobs such as repairs typically using manual forms, and larger scale jobs requiring the use of extrusion machines. 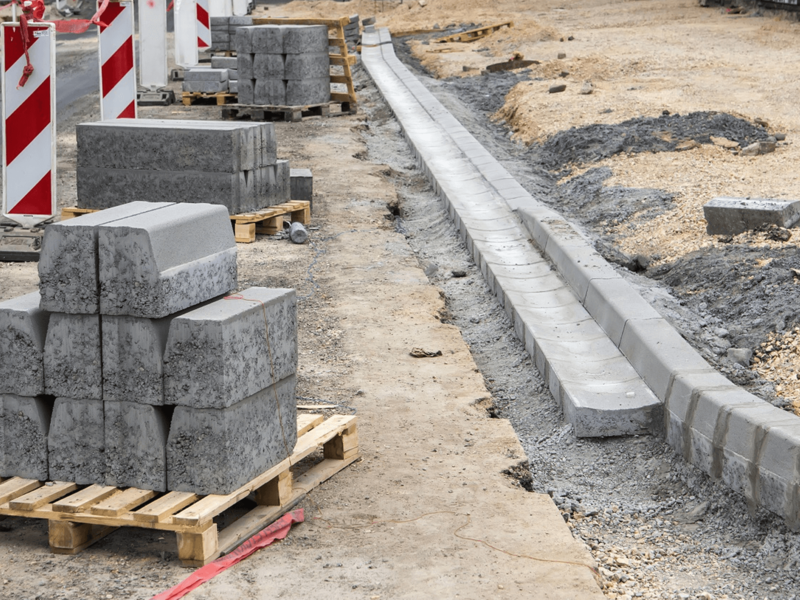 High-quality concrete is molded into place, hand-finished by skilled experts with trowels, and scored at regular intervals to prevent cracking. Why Choose MD Paving Pros For Your Gutter Work? Gutters are an important part of roadway and site maintenance, so don’t hesitate to call us. Whether you need completely new gutters on a site that currently has none, or whether your current gutters need repairs or upgrades, our professional contractors are here to help. We offer the full range of gutter services, and work with all site types. If you’re not sure what type of gutter best suits your site, we’ve got you covered. Our team has extensive experience in all types of gutter repair and installation, from residential to commercial and anything in between. You can be confident we will conduct your consultation and answer your questions with the knowledge that only comes from years of industry experience. All gutters will be repaired or installed to the highest standards by skilled experts, using only high-quality materials which will withstand the elements for years to come. Our Baltimore gutter installation and repair services are widely available in cities throughout Maryland at the most competitive prices in the industry.